If you are a part of a real estate agency and need some advertising ideas, read this article on real estate marketing tips using print media. Does your real estate firm utilize print marketing? Because of digital marketing, you may think print marketing is a thing of the past. 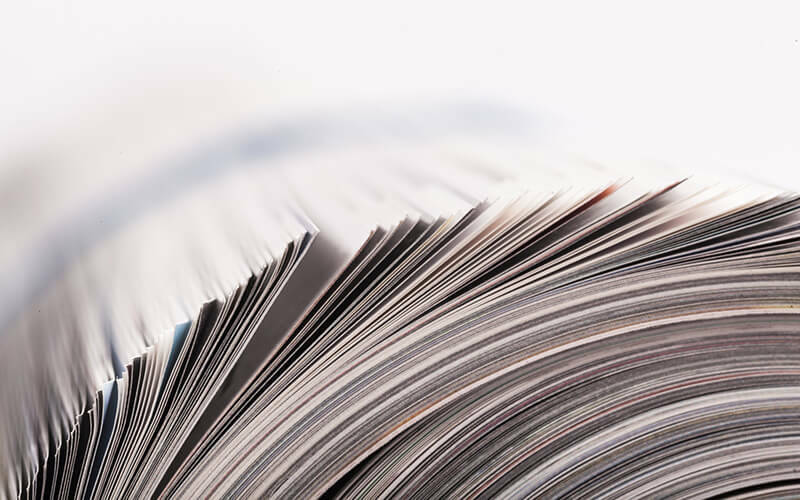 In reality, print marketing is as valuable as digital marketing — and both can be used together for the ultimate marketing strategy. In a world of SEO and PPC, you may have forgotten how to market your firm with print materials. Traditional marketing is making a comeback, and there’s more understanding of this marketing form than ever before. To make your print marketing campaign count, here are some real estate marketing tips you should use. These will ensure your campaign is successful. Yes – print designers do exist. And they will benefit you during your print marketing campaign. Print design is different than digital. Pixels, layouts, colours and design sizes are different in print than they are in digital. A printer is limited to a certain mechanism, so you don’t achieve the versatility you do with digital. The best way to ensure your logo and images look great on print is by hiring a print designer. They can recommend different printing methods and can even design print-specific materials for you. Beyond the graphics, a print designer can oversee technical printing features. This includes page materials and the best way to print for the campaign. Overall, a print designer ensures your materials look polished. Professional print marketing materials may be the difference between scoring a client and losing them to a competitor. If you would rather not deal with your marketing materials until they’re finished, outsource a print marketing company. These companies have a staff of professionals, usually ones who are design and printing experts. With these companies, you can place your order by sending your logo, graphics, and print and size options. If you’re unsure of what you want or you don’t have graphics, these firms can help you out. From here, they create your marketing materials and send them to you when they’re finished. Someone who doesn’t understand digital marketing will have no idea what SEO means. But they know the importance of high-ranking Google search results. The same can be said about print materials — but print jargon isn’t as widely discussed as digital jargon. When you start your print marketing campaign, don’t go in blind. Research common printing terms. For example, CMYK is a widely used term in printing. This is a colour model which stands for cyan, magenta, yellow and key (black). Do these terms sound familiar? If you have a printer, you know these are the ink colour options. CMYK is the print version of RGB (red, green, blue) which is the digital colour model. Page bleed — artwork around the edge of your page. Varnish — a liquid coating which gives the paper a glossy look. Backed Up — the second side of a sheet being printed. CTP (computer-to-plate) — computer technology transferring an image onto a plate. Four colour process printing — the most common full-colour printing method, where CMYK is translucent and can be used different ways. Offset printing — printing method where the paper never comes in contact with the plate. When you work with a designer or a printing company, they will speak in complex jargon. Know what you’re talking about and be able to give detailed direction. Like any other type of marketing, always market to your target audience. As a realtor, you know the buyer market better than anyone. When compiling your print marketing materials, always think if your buyer will be persuaded by the prints. Marketing for your audience defines the message, the images the print, and how it’s delivered to your clients. Are you speaking to a specific income bracket? Are you appealing to a family? Will your clients be annoyed by mail marketing materials? These are questions you should ask while creating your marketing campaign. You should also learn technical information about your customers. Know your customer demographic: meaning their age, gender, general income, location, and interests that could pertain to your realty niche. Are you unsure of marketing to your audience? Reach out to past clients. Ask them how they discovered your business. If it was unrelated to print marketing, such as a social media ad or a recommendation from a friend, ask what exactly they read or heard. With digital marketing, everything is automated. Your emails, your social media posts, and even your website content. But there’s no print automation. This means you need to pay very close attention to deadlines and time constraints. There’s also a major factor in printing: the time it takes. Creating your design and the printing process takes longer than you think. For example, are you promoting a specific sale or event? If you’re using print materials, make sure you get them printed on time. Who said you have to pick marketing favourites? When marketing a promotion or event, use both digital and print marketing. Multichannel marketing helps increase your reach so you attract more clients. This strategy also increases your brand awareness. In reality, you’re in an interesting buyers market. You have the millennials who are buying their first house, and they usually discover your firm online. But you also have retired clients who still rely on print materials for information. So utilize all marketing methods and increase your consumer reach. Even in the modern digital world, you should never forget about print marketing. But knowledge of print marketing methods is becoming a thing of the past. Beat out your competitors with print marketing by using these real estate marketing tips. Your clients rely on your real estate firm for information and education. They will find your firm through multiple different outlets. Combine print marketing with digital marketing for even better results. Does your real estate firm need a professional printing company? Take a look at our services.